They work in concrete warehouses in Stockholm. They play crappy instruments. And rightly so, they make punk music. 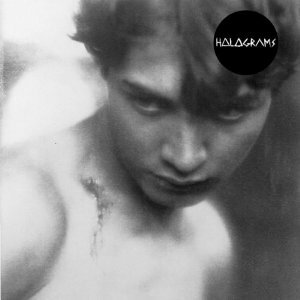 Between working labor jobs and making piss-poor wages, Sweden’s Holograms managed to scrape together enough energy to record an eponymous 12-song debut LP, which is quite possibly their hopeful escape from working class drudgery and is most definitely our introduction to synth-tastic garage punk. “Monolith” starts the album with a slow bass note ticking like a grandfather clock and from there the LP’s tracks fall into one of two categories. Songs like “Chasing My Mind,” “ABC City,” or “Ashtray” — the clear picks for singles — are grungy guitar-centric dance mixes to get out your anger, while more simplistic tunes like “Memories of Sweat” or “Stress” are the straightforward punk aesthetic of full-fledged frustration. Whether they’re masking their misery in spiky guitar work or are flat out irritable, Holograms have enough pent up energy that they’re ready to rock the early set at every summer festival even if no one’s there to listen.